The position is based in Palo Alto, California, where you will be joining Data Theorem’s core team of engineers. The work atmosphere will be very relaxed but your work and contributions will have a tremendous *and* direct impact on the company. The main responsibility for this position is to improve and extend our Android scanning technology for automatically finding security and privacy issues. We have built a set of tools to analyze APKs statically and to instrument Android Apps in order to study their behavior while running on a device, and detect dangerous actions that could lead to security issues. We are looking for a strong engineer to work on the scanner in order to add new functionality (such as additional security checks) and make it even more powerful. This is a very technical role on one of the most complex tools of the company; the right candidate will need to be very familiar with how Android Apps work behind the scenes. He or she will have the opportunity to work closely with the engineering director ( https://nabla-c0d3.github.io/ ) and learn a lot about security, Android instrumentation, and application analysis. By improving the results returned by the scanner, you will help developers make their Android Apps more secure and you will help protect the end user's data. Significant experience implementing Android applications and tools. Good understanding of the Android runtime. Studying Apps you don't have the source code for (such as reversing stock Android Apps/services, writing a cheat for a game, etc.) using tools like apktool, androguard, dextra, etc. We are not expecting you to know all the things listed above, but any experience you have in that area will be very valuable. Experience writing tools in Python. We are a small (~20) team made of engineers only, and are a profitable and highly-technical company with some unique challenges. Every employee has a significant impact on the company's product and direction, and has the opportunity to grow and take ownership of the projects they care about. 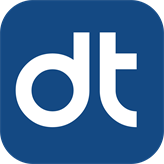 Android Developer / Reverse Engineer at Data Theorem, Inc.